Skip Woods must truly believe in the cinematic potential of the video game Hitman. 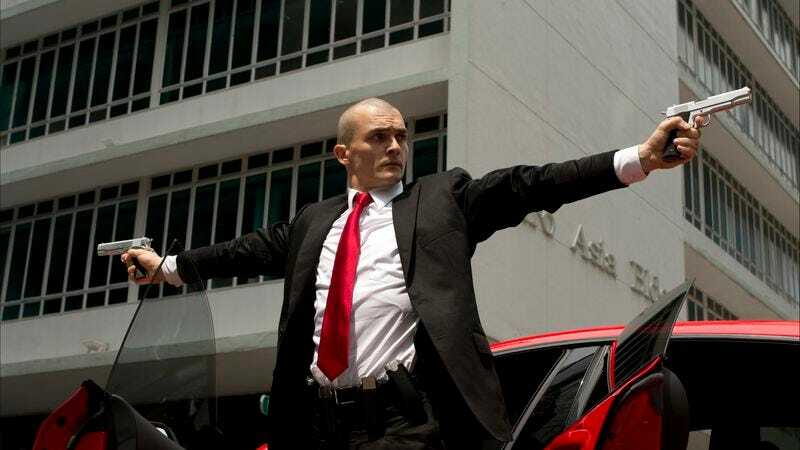 Usually, a do-over like Hitman: Agent 47—the kind of soft reboot that seems more like a recast DTV sequel—recruits new filmmakers to set a would-be franchise on a different course. 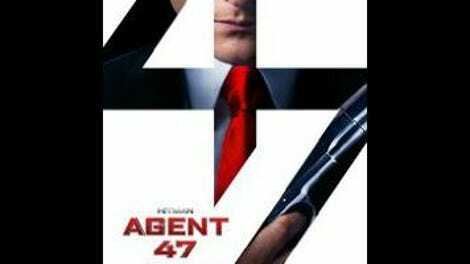 But Woods, the sole credited screenwriter on 2007’s Hitman, rematerializes in the credits of Agent 47, receiving story and co-writing credits despite having worked on the earlier, ill-received version. It’s hard to tell whether this means Fox repurposed a sequel draft or actually re-upped with Woods for the new version, but regardless, the studio taking another shot at Hitman does make sense, at least on paper. It’s a world of ruthless, superhuman, globetrotting assassins and it seems like good material for a B-movie. Unfortunately, all of its materials feel utterly and depressingly synthetic, right down to the most basic ingredients of almost any violent B-grade action movie: cars, blood, and fire, which all get the bad-CGI treatment. In fact, the most surprising credit on Agent 47—even more so than the return of Skip Woods—is the presence of the legendary Industrial Light & Magic on the special effects team. Unless they created the actors wholesale from a hard drive, the effects in this movie represent some of the crummiest-looking visuals to ever bear the ILM name. Frankly, even if all of the performances are in fact secretly CG, it’s not their most lifelike work. That’s not meant as a burn on Rupert Friend, who takes over the title role of the bald, bar-coded super-assassin, and in doing so looks a bit like an aggrieved version of onetime Saturday Night Live cast member Paul Brittain. It’s a part that previously defeated Timothy Olyphant. Agent 47, who is hyped by the movie as engineered to lack fear, emotion, attachments, and so on, is hot on the trail of Katia (Hannah Ware), who herself is hot on the trail of a man she doesn’t remember, but knows she must find. Katia is also pursued by other men from an organization called the Syndicate (not to be confused with the group Ethan Hunt pursues in the most recent Mission: Impossible), because they are also looking for this mystery man, who can unlock the secrets of the genetic engineering that created Agent 47 and his ilk in the first place. The movie tries to pull off the transition from The Terminator to Terminator 2 in a single film, by positioning Agent 47 as a force of malevolence before teaming him up with Katia, whereupon he becomes a force of, if not exactly good, then perhaps a sort of neutrality. His allegiances lie less with good guys in particular than violent murder in general. That vagueness is why the big switch fails to register; Hitman: Agent 47 is largely amoral, in the sense that the good guys and the bad guys seem indistinguishable, operating only in a closed chase-loop. This leaves only the chase itself, and the accompanying fights, shoot-outs, and smash-ups, to give the movie its reason for being. Director Aleksander Bach assembles these action sequences semi-coherently, but with little inspiration, or even much interest in fooling the audience into thinking they’re watching characters instead of shutter-stuttered stunt doubles. Most of the time, the best he can do is recreate the sensation of watching more visually distinct recent action movies. One strobe-lit massacre looks a joyless imitation of John Wick; other moments briefly recall the Resident Evil series and The Wolverine. In between its knockoffs, the movie stalls, with several scenes where battalions of anonymous bad guys receive nearly identical orders, and a surprising amount of screen time spent waiting for face-recognition software to turn up matches. Even on its chosen level, this Hitman opts not to make much sense: To retrieve the super-assassin recipe, for example, the Syndicate employs an “experimental” super-assassin of their own, who, with his titanium-enforced skin, seems far closer to invulnerability than Agent 47 himself. After a while, it seems a bit like hiring the T-1000 to unlock the secrets of the T-800—or hiring John Wick to retrieve a DVD of Hitman: Agent 47. Agent 47 is just slightly less dull than its disavowed predecessor—or at least its dullness seems less active, because it doesn’t turn anyone as inherently interesting as Olyphant into a dour-faced killing machine. It manages a few tiny flashes of understated wit, like a silent elevator ride shared by Katia and Agent 47. But mostly it makes a clear, cogent case for why no one should ever make a Hitman movie ever again—just in time for an optimistic, barely-mid-credits tease for exactly that. Woods must be so excited to see it.